The May #HePicksMyPolish Challenge is happening May 25th – May 31st. 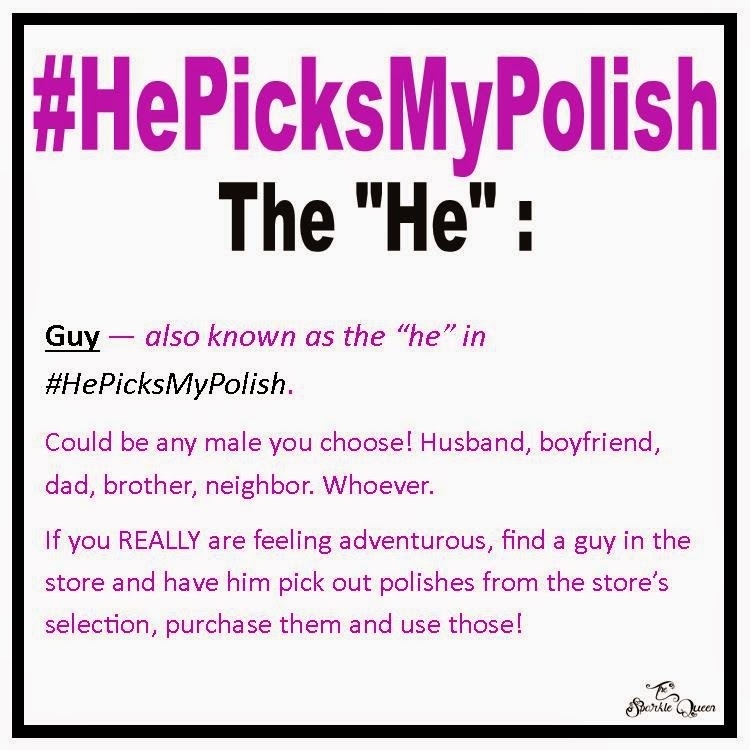 During this week there is going to be a link party / blog hop going on, and we will all be sharing our looks that we made with the polishes our “He” picked out! Will be a disaster or masterpiece? Guess we will find out! 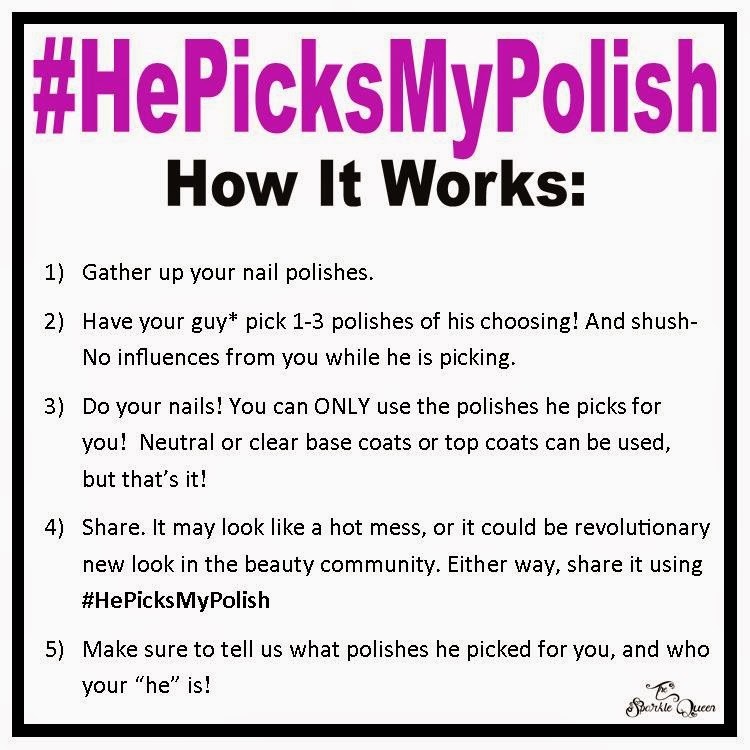 There is an official group for the #HePicksMyPolish challenges on Facebook, and you are more than welcome to join in! HERE IS THE LINK to the Facebook group. You can get all the codes and details for this challenge and upcoming challenges in the group. If you’d rather skip straight to the code to share, get it HERE on Inlinkz. You DON’T have to be a blogger to enter, if you can link to it, you can add it! And – you only need to share ONE LOOK! Ohh this sounds so fun !! It's going to be AWSOME! Are you planning on joining in this round?